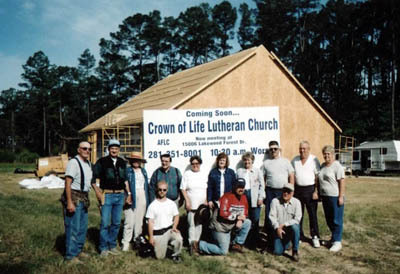 Crown of Life Lutheran Church, Tomball, TX was organized on October 1991. 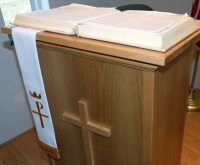 The congregation soon joined the Association of Free Lutheran Congregations (AFLC), a conservative and congregational Lutheran body with headquarters in Plymouth, MN. 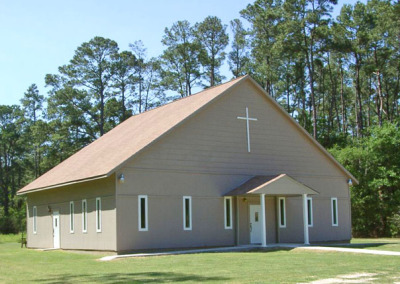 The members found a worship place at the Lakewood Forest Residents' Club, Houston, TX, and met there each Sunday morning for several years. The Residents' Club worked out an arrangement whereby members provided maintenance service for them in exchange for use of the building on Sunday mornings. In 1999, the congregation purchased the property at 18145 North Eldridge Pkwy. 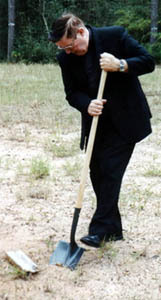 Groundbreaking took place in November 2002. The property is under the jurisdiction of Harris County, and the extraterritorial jurisdiction of the City of Houston. They both required a lengthy process of obtaining permits, surveys, and a rezoning plat. A local architect donated the plans for the building. The foundation was poured in March, 2003. 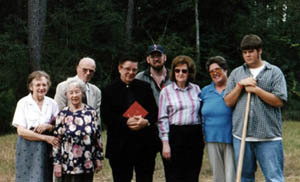 Construction began on the church building in April 2003, by volunteers from several AFLC congregations located in the states of IL, NE, ND, MN, OK, and Washington. We immediatedly began using the church when it was framed and dried in. Later an AFLC member from Minnesota brought his roofing crew and shingled the roof. 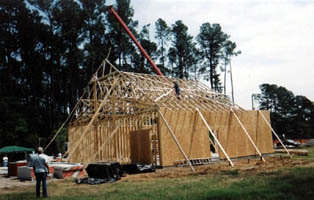 In February 2004, a second group of AFLC volunteers helped frame and sheetrock the inside of the church. The siding was completed in the fall 2003 by local friends/members. In January 2006, the sidewalks, bell, and kitchen cabinets were installed, as well as the water well. The new digital, three manual, organ was presented to the congregation by an anonymous donor and dedicated on October 18, 2006. The parking lot was layed in 2015. The present building represents the first of a two-stage plan. The second building will join the current slab to the east and serve as the main sanctuary. The current building will then be the fellowship hall.